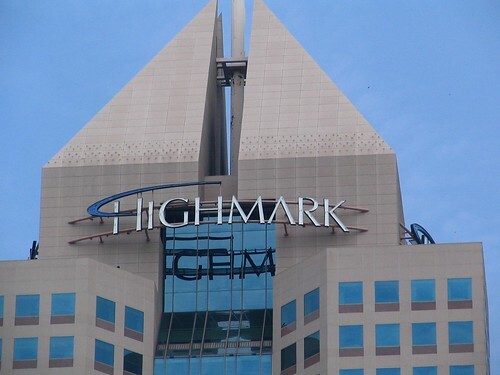 Earlier this month Highmark, Pennsylvania’s largest health insurance company finalized a purchase of the West Penn Allegheny Health System, the state’s second largest medical provider. This bold move might be a model of what real, meaningful healthcare reform could look like in the future. In this article we’ll look at a high level view of the hospital/insurance relationship and then discover how a move like this can upset the status quo and move us closer to affordable healthcare. We have to start by looking at hospitals’ monopolistic tendencies. Technically hospitals are not a monopoly because in theory there are other facilities and hospitals that can compete with them. The problem is that they get to act like a monopoly because of the type of service they provide and the spacing of facilities. A paramedic isn’t too worried about what hospital you prefer when you’re traveling by ambulance. When you go to the emergency room under your own power it is safe to say that you are more worried about your health than you are about the prices of the facility. In many cases you only have one choice, the hospital that’s closest, rather than the one that’s 50 miles away. These factors prevent the process of competition occurring naturally between hospitals. In a capitalist, non-monopolistic environment competition is the force that drives prices lower in an attempt to win customers. Hospital systems don’t have to worry about prices to attract customers. In fact, the big money at hospitals doesn’t even come from the customers. It comes from the insurance companies that represent the customers. As a result, when the customers get mad about how expensive things are they aren’t getting mad at the hospitals. They get upset at the insurance company instead, because that’s who they are paying directly. These issues are the types of issues that continue to drive the sky high cost of healthcare today. Unfortunately, they aren’t the only ones. We also have to look at the hospital’s motive for profit. This is where things get interesting. The hospital knows that people can only afford their services through the insurance companies, so they don’t bother thinking about customers when they establish prices. Instead, they negotiate contracts with the various insurance companies. It’s a symbiotic relationship. The hospital needs the insurance company to include them in the network in order to generate a high volume of patients. As a result, they negotiate discounted rates for the insurance company which you see on your records as an allowed amount. Let’s look to our small friend the aspirin for an example of how this plays out. For the record, these aren’t real costs, but they are close, and they make the point clear. Let’s say you’re in the hospital and need an aspirin. The cost for that aspirin when you’re lying in a hospital bed is $20. The insurance company’s negotiated rate for the aspirin is $10, since obviously an aspirin isn’t worth $20. By agreeing to this price (and thousands of others) the hospital is rewarded in-network status which will drive future patients towards them. Here’s the first breaking point. What the hospital doesn’t tell us is that they bought that aspirin for less than a dollar. In fact, it’s the same aspirin that we buy at the pharmacy at something like 5 cents per aspirin. However, because you are trapped in the hospital room they are able to charge $10 for the aspirin. Talk about price gouging! Now wait a minute Jonathan. You said the aspirin was $20, not $10. Good catch. That’s the second big part of the problem. The hospital knows that they are going to have to negotiate with the insurance company and that the insurance company will not pay what the hospital wants. So they do what any other profit driven organization would do, they jack up the price way up. By charging $20 for the aspirin they have much greater leverage in the negotiation process. When the price has been cut to $10, half of their asking price, they are able to squawk about the insurance company breaking their backs. In reality, they get the full 1000% profit that they were looking to get in the first place. Not only that, but they have well and truly screwed the unfortunate out-of-network patients who have the misfortune to find themselves there. These poor souls are left paying full price for something that was only priced that way to win a negotiation. It’s hard to believe that people would fall for this isn’t it? $20 for an aspirin, that’s crazy! But what about $100K for a heart transplant? Is that too high, too low? It’s a very gray area. As a result, the prices are set by the hospital’s desire for profit and their ability to play the victim to the big, bad insurance company. That’s exactly why this move by Highmark shows so much promise. Imagine a world where the hospital and the insurance company are actually working together. Hold up cowboy, they insurance companies are just as money hungry as the hospitals. How is that going to help anything? Believe it or not, the insurance companies are at the bottom of the barrel when it comes to healthcare profit. The hospitals, doctors, clinics and pharmacies dominate that money grubbing landscape. I know it doesn’t feel that way when you are paying your monthly insurance premium month after month. Take a look at the graphic below. This maps out who is getting the money that you pay the insurance company. The insurance companies keep roughly 13% and most of that is spent on operating costs. Only 3 cents out of every dollar you pay the insurance company goes towards profit. In a quick aside, it’s amazing to me how the insurance companies get painted as the bad guys in this fight. I think the reason for it is two-fold. First, as I mentioned earlier, most of our healthcare costs are paid to the insurance company instead of straight to the hospital. 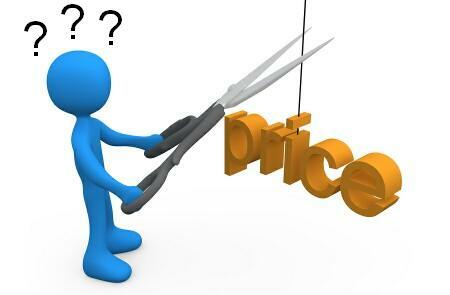 As a result, we mistakenly believe they are the problem when it comes to healthcare cost. The second reason is that we have a deeply ingrained belief that doctors and hospitals are there to help us. The insurance companies are just greedy corporations out for a profit, but the hospitals are benevolent providers of health. Little did we know that the people who run the hospitals have turned them into greedy corporations in their own right. The fact is, if the insurance companies would produce a document each year showing how much we paid and compared it to the total health expense that we were charged by healthcare facilities it would literally blow our mind. That $12K we paid in insurance last year looks pretty good compared to the $300K that we would have been responsible for without insurance. Eye opening, isn’t it? So what do you think will happen if the hospital is owned by the insurance company? If played right, it’s a fantastic opportunity for the insurance company to ramp up their value and add market share. Today we deal with in-network and out-of-network providers. I see a new category being created, something like Home-Hospital. If the insurance company owns the hospital then they are the ones making the profit after operating expenses are covered. This gives them the leverage needed to drop hospital prices drastically for their insurance clients who go to the hospital that they own. Even better, because they will control the pricing of the hospital and begin making profit on that end, they will be able to drop their primary insurance costs. How attractive is that! People who buy their insurance, and go to their hospital could find themselves paying something like 20% to 30% less across the board. Obviously, if this happens then people will flood the network, which leads to more patients, more profit and more opportunity for price cuts. Remember that nothing happens in a bubble. Think about the other hospitals and insurance companies. If they want to compete then they are going to have to drop their prices right? Even a hospital isn’t completely immune to a significantly lower priced competitor, especially if the other insurance companies that they contract with have lost their market share and can no longer drive enough patients to the hospital. As a result, both insurance and medical costs will have to decrease across the board and the big winner is the American public. Unfortunately, in the nature of business a battle must be fought before a radical change like this can truly take hold. In this case you can look directly at the largest hospital system in Pennsylvania as the sparring opponent. The University of Pittsburgh Medical Center has already released a statement indicating that they would no longer participate in the Highmark network. Their intention is to decrease Highmark’s ability to gain market share. I don’t blame them, they should be worried. They don’t want to have a major insurer and hospital system working together in their area to lower prices. It will force them to do the same. The bigger problem is that they don’t have a Big Brother sponsoring their actions and subsidizing their costs. As a result, they probably won’t have anywhere near the price flexibility of Highmark. It will be interesting to see how it plays out. On one hand UPMC is the biggest hospital system in the state. If Highmark doesn’t do this successfully then UPMC has a lot to gain. Personally, I think the writing is on the wall. If Highmark does a good job partnering with their new hospital system then they have the potential to blow the doors right off the status quo. Eventually the top system will have to seek out their own backer or live with dramatically lower profits. The next 20 years should be interesting. If I’m right then we are looking at way more than healthcare reform. We’re looking at the beginning of a healthcare revolution. Posted on July 23, 2011, in Real Life and tagged business, Healthcare Reform, Highmark, Hospital, Insurance, negotiations, price gouging, West Penn Allegheny Health System. Bookmark the permalink. 1 Comment.